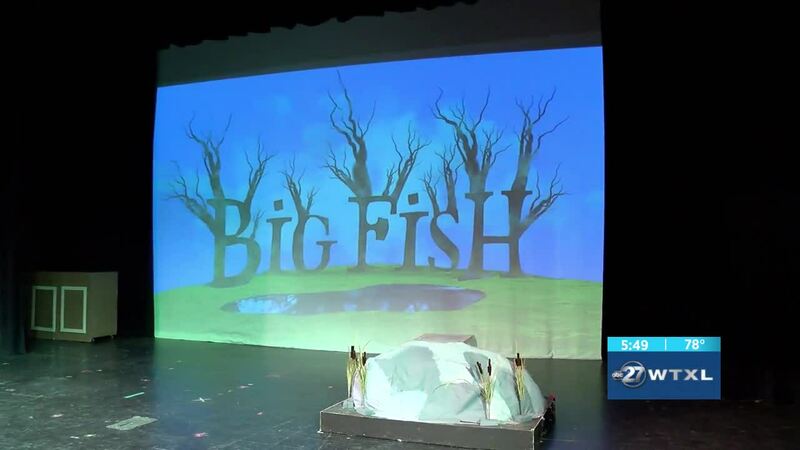 MIDWAY, Fla. — In this segment of COCA Connection, we're talking about the Big Fish at Lawton Chiles High School. Kevin Carr, with the Council on Culture & Arts, and Conner Fabrega, lead actor in Big Fish, joined us to talk about the musical. Based on the celebrated novel by Daniel Wallace and the acclaimed film directed by Tim Burton, Big Fish tells the story of Edward Bloom, a traveling salesman who lives life to its fullest. Edward’s incredible, larger-than-life stories thrill everyone around him, most of all, his devoted wife Sandra. But their son Will, about to have a child of his own, is determined to find the truth behind his father’s epic tales. Big Fish is an extraordinary new Broadway musical that reminds us why we love going to the theatre. Reserve seating is $14 for students and adults. General admission tickets are for $10 for adults and $8 for students and seniors with ID. The musical will run from April 4-6 at Lawton Chiles Performing Arts Center.